Phil Bacerra is a character in the HD Universe who appears as a minor character in Grand Theft Auto IV. 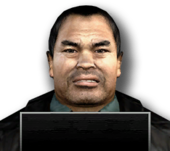 Phil Bacerra is, in 2008, a criminal living in Liberty City who is wanted by the LCPD for a hit and run. He can be killed by Niko Bellic, depending on the players choice. This page was last modified on 26 October 2013, at 13:33.